Corn Capital Innovations > Innovation Blog > Production > What Does Matching the Right Germplasms Mean To You? What Does Matching the Right Germplasms Mean To You? 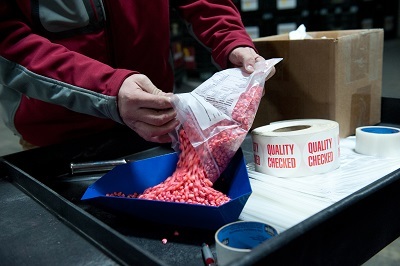 It is that time of year again, seed orders are being processed and delivered to customers. Yet, do you as a farmer; fully understand what you are purchasing in that bag of seed? Yes, it is corn seed but we view this seed as much more than just corn seed. This seed is a genetic cross between a female and a male inbred to produce a hybrid. At Corn Capital Innovations, understanding the genetic makeup of the hybrid is key to placing it on the right piece of ground. The right hybrids on the right piece of ground are two factors that can help you take your yield to the next level. Here at CCI, we pride ourselves in helping production experts as yourself take high quality seed and place it on the right acre in your field. Labeling: Do you know the germination and quality of the seed you will be planting? The seed tag contains relevant quality information such as germination, purity, weight, origin, seed size, and maturity to name a few. This information is very important to identify proper planter settings to maintain optimum spacing while planting. Testing: All your seed that you will plant this year will have a warm germ test done to its particular lot/batch. This warm germ test is an indicator of the expected number of seeds that will grow as “normal” plants under optimum growing conditions. This test is done in an environment that both temperature and humidity are controlled to provide a consistent result. One other important test that can be done is a vigor test. Also known as a cold test, these results provide an indication of the vigor of the seed. Vigor is simply the ability of the seed to emerge from soils under stress conditions and/or to maintain its viability during storage. Storage: Make sure you keep the seed in an environment free of moisture, pests, and temperature fluctuations until you are ready to plant. Heat and humidity are enemies of seed viability and vigor. Once the conditions are right, we suggest planting at 3.5 miles per hour at a depth of 2 – 2 ¼”. This year, it is important to note that we have a significant amount of frost in the ground which will most likely take a longer period of time to warm up the subsoil. This is where knowing and understanding your seeds vigor/cold results can help determine the stress tolerance of the seed. Often times this vigor/stress factor is determined by the genetic makeup of the hybrid. Corn seed typically begins to germ around the 50 degree mark. Your goal as a farmer or seed production expert is uniform emergence with the seed placed at the proper depth. These two factors will help you in your high yield building strategies. For further yield building strategies, contact Corn Capital Innovations. The seed quality is a key factor in growing a top notch crop. Work with your Corn Capital Innovations High Yield Specialist to develop a cropping plan placing the right hybrid on the right piece of ground. Remember, everything that happens above ground starts below ground. Do you have a cropping plan and do you know the impact of your seeds quality to your operation? Jim and the CCI team are here to help! Ask your questions in the comments below or contact us to talk about your field’s need.